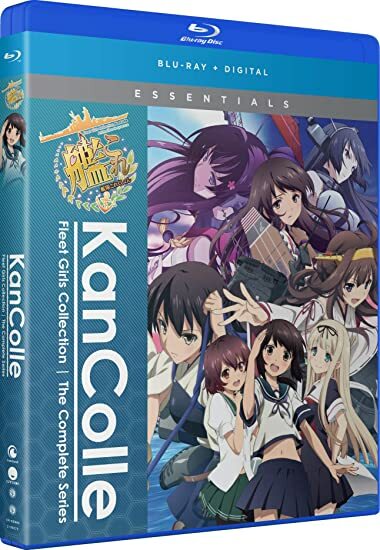 KanColle Kantai Collection: The Complete Series - BUY THIS DVD! Fubuki is a Special Type Destroyer who has just been assigned to the Naval District. With a grand total of zero battles under her belt, she's sure to sink fast under the pressure of expectation. Luckily, she's grouped with Torpedo Squadron Three, and they're ready to support their new comrade. Together, they'll prove they have what it takes to defend the ocean and win it all for humanity! THEN SEND IN A COMMENT ABOUT YOUR FAVORITE FUNIMATION TITLE (you may click on artwork above for a refresher) PLUS YOUR NAME AND ADDRESS TO contests@efilmcritic.com or WeLoveHBS@aol.com. (Just one e-mail please.) Put [b]"KANCOLLE KANTAI CAN CARNE" in the subject line and cross your fingers. We will draw names and one of the prizes could be yours. Only 1 entry per household.